With summer already peeking over the horizon, it’s more important than ever to prepare for rising temperatures. From heat waves to dry spells, homeowners rely on their air conditioning systems to keep their families cool and comfortable. That’s why Stewart Air Conditioning & Heating of Lexington, KY, stresses the importance of regular HVAC maintenance. If you want to come home to an air-conditioned oasis this summer, consider the following benefits of this work. Whether it was caused by a faulty alternator or a busted fan blade, an air conditioning unit breakdown is not for the faint of heart. By scheduling regular HVAC maintenance appointments, you can stay one step ahead of future failures. Through meticulous tuneups and time-tested repair techniques, the experts at Stewart Air Conditioning & Heating will fix minor issues before they become major problems, so your family can stay cool all summer. Cleaning the air conditioning unit’s filter, coils, and fan is not always easy, but by getting professional help, you can ensure the HVAC system is as clean as possible. Neglecting this crucial maintenance task will allow dust and other allergens to pollute the indoor air supply, making it harder to breathe. A technician will gladly purify the air conditioning system, so you can avoid respiratory issues and a dusty home. By repairing parts as soon as they malfunction and eliminating dust and grime before it clogs up the unit, HVAC maintenance providers will also make the system more efficient. If the unit doesn’t have to work as hard to cool the home to a set temperature, it will consume less electricity. Therefore, the system will enjoy a longer life span, and you’ll enjoy lower utility bills. If you’re interested in top-quality Amana® AC units and the regular HVAC maintenance needed to keep them in pristine condition, turn to Stewart Air Conditioning & Heating. 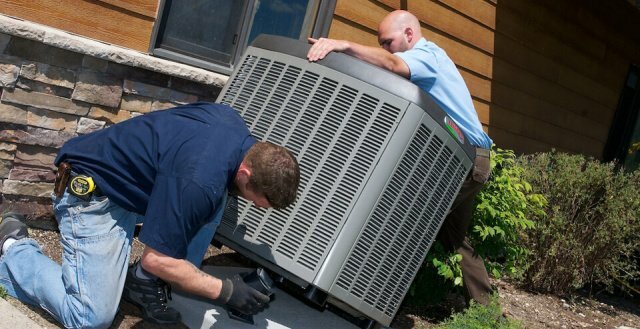 Their licensed and certified technicians will work hard to keep your family cool throughout the hot Kentucky summer. For more information on their services, call (859) 252-4945 or visit the website.